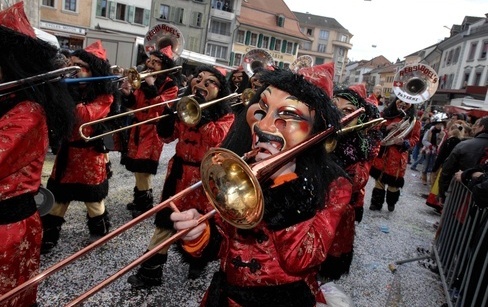 Carnival celebrations are so popular across Switzerland and France that it would be a shame to miss out on all the fun, so here’s a quick run through of the main ones coming up during the month of March 2014. During these street parties you can expect masked parades, Guggenmusiks (carnival marching bands), folk dances, confetti fights as well as street performances and many activities for children. It is also traditional to burn the Bonhomme d’Hiver as a rather harsh goodbye gesture to the winter season! 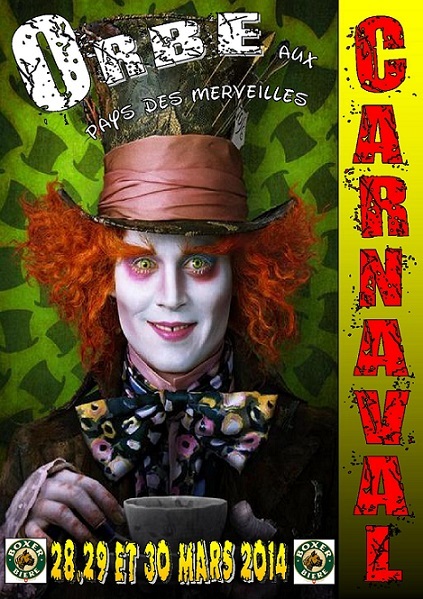 7th-8th March 2014: Carnaval Vallorbe, offers a fun-packed programme for their 2014 edition with a Creole night, street theatre, confetti fights and activities for the little ones. Click here for the full programme. 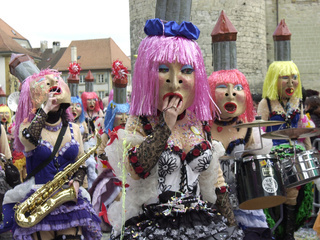 7th-10th March 2014: Payerne Carnival, don’t miss the kids’ masked parade on Saturday at 3pm. 8th-9th March 2014: Brandons in Grandson, watch the Bonhomme d’Hiver being burned just outside Grandson’s beautiful castle. 10th-12th March 2014: Basel Carnival 2014, Switzerland’s most famous Carnaval celebrations with its costumes, live music and parades lit by lanterns – this is the time a Swiss city truly goes wild! The Basel Fasnacht is the largest carnival celebration in Switzerland, with over 20,000 masks filling the streets of the city with their carnival lanterns. Find out more at www.basel.com. 14th-16th March 2014: Brandons in Yverdon-les-Bains, this year’s theme will be Winter Olympics. Don’t miss the night parade where they carry the Bonhomme d’Hiver (starts at 7.15pm). 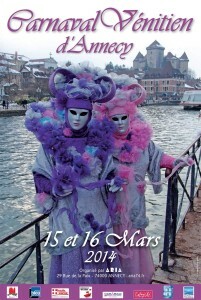 15th-16th of March 2014: Venetian Carnival in Annecy (France). You can read about last year’s edition in our previous post. 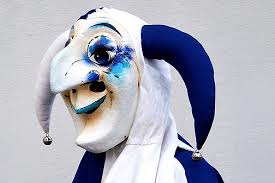 21st-23rd March 2014: Avenches Carnaval, the kids’ parade starts at 3.30pm on the Saturday and will be followed by many activities & street entertainment throughout town from 8pm. 28th-30th March 2014: Carnaval Orbe. This year’s theme is inspired by Tim Burton’s “Alice in Wonderland” movie. The Bonhomme d’Hiver will be burned at 8pm on the Saturday night. Practical Tips: dressing-up the children is great fun (if they feel like it, that is!) and it’s all part of the Carnival tradition. Dress-up costumes, hats, confetti & face-painting kits are usually available from the beginning of February in the largest COOP, Migros, Manor, Carrefour (in France), toy stores (King Jouet, Maxi Toys, Imaginarium in Switzerland; La Grande Récré in France), but you can also find some princess costumes in H&M. However, our top tip would be to borrow the kids’ dress-up costumes from your local toy library (ludothèque in French – not all of them stock them but it’s always worth checking). The choice is great and your little buttons can try them on until they find the one they like. You can then borrow the Carnaval costume for a few weeks for a very reasonable price! Useful links: Toy Libraries in Geneva. Toy Libraries in Canton Vaud.